Proprietary Name: Medichoice Povidone-iodine What is the Proprietary Name? 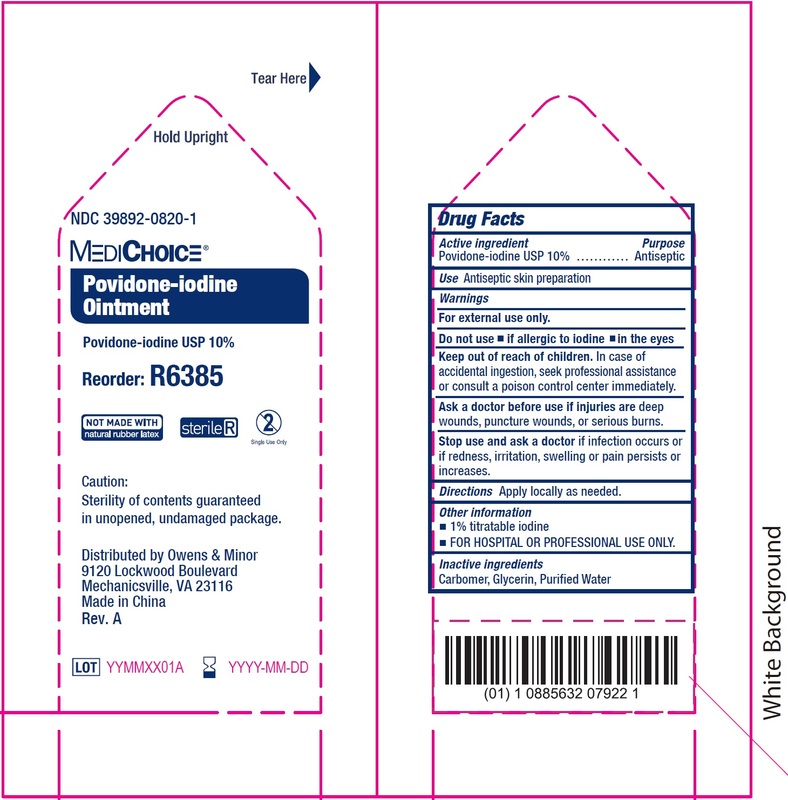 Medichoice Povidone-iodine with NDC 39892-0820 is a a human over the counter drug product labeled by Owens & Minor Distribution, Inc.. The generic name of Medichoice Povidone-iodine is povidone-iodine. The product's dosage form is ointment and is administered via topical form. If injuries are deep wounds, puncture wounds, or serious burns. If infection occurs or if redness, irritation, swelling or pain persists or increases.